At SJS, we strive to offer a range and variety of experiences through our school clubs. These teacher-led clubs are designed to meet the needs of specific year groups and take place before/after school. Across the academic year, we offer sport clubs such as football, rugby, quad kids, rounders, netball and cricket, as well as creative options like film club and lower and upper school choirs. 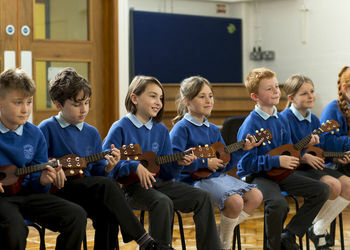 Once signed up to a club, the children are expected to commit to attending every session during the term. We also hire-out our SJS facilities so that outside providers can offer clubs to the children like Dance, Tae Kwon Do, Karate and French.